TUBE BENDING AND SHEET METAL SPECIALIST. 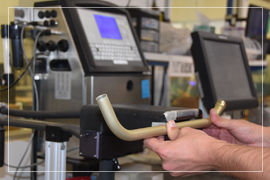 Our products and services include: Tube Bending, Welding and Torch Brazing, Complete Sheet Metal Support, Specializing in Clamps, Enclosures & Brackets. The Aero Bending Company Quality Assurance Department and Quality Control System is certified to AS 9100D / ISO 9001:2015. Tube Bending and Sheet Metal Specialists. AS9100D / ISO 9001:2015 Certified. Welding with Boeing Certified. 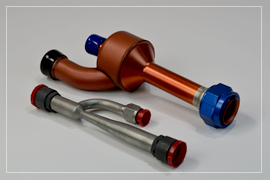 Tube Bending, Welding and Torch Brazing, Complete Sheet Metal Support, Specializing in Clamps, Enclosures & Brackets. 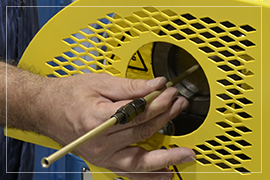 NADCAP Accredited - Manual GTAW "Tig" Welding - Meets AWS D17.1 and MIL-STD-2219, all classes - Manual Torch Brazing. Complete Sheet Metal Support - 24" x 48" Sheet Capacity. 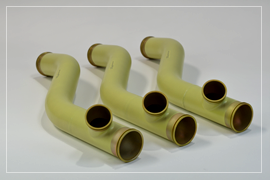 Max Thickness to 3/16" - Aluminum, CRES, Titanium and Inconnel & Copper - CNC Punching & Stamping - Formed & Welded Fabrication. Capable of cutting all metallic and non-metallic materials - Tolerance capability of +-.005” - Thickness of .0005” to 1.00” - CNC program controls to enable accurate and timely transfer of CAD files. Pull-thru (branch) aluminum, CRES, Inconel, titanium and other materials - Capable of ½” to 4” pulls on base tube ranging from 1” to 6” - Covering wall thicknesses of .020” to .125”. Hydrostatic, air and nitrogen capabilities - Pressure range up to 24,000 psi - Pressure control system capable of maintaining close pressure range - Auto Frettage. Chem Etching - Inkjet and ink stamping - Protective over coating applications - Thermal transfer labeling - Function labeling to meet all specifications. 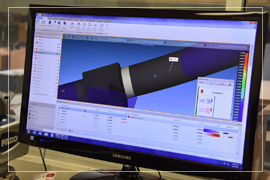 Design and build to customer specifications - Developed from customer drawings and CAD files - For all trim, welding, assembly and inspection applications - Calibration support. Single and double flaring from .125” to 3” diameters - Beading from .005“ to 6.00” diameters - ID Swaging of Flexible coupling designs. 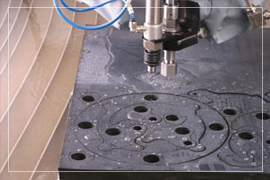 CNC Machining has both 3 & 4 Axis machining centers. 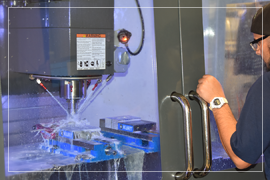 All of our machining centers are set up with multiple vises to help machine your production parts accurately and efficiently. 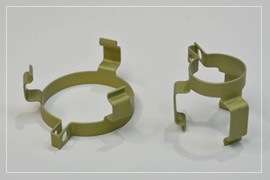 Aero Bending Quality Management System has received AS9100D / ISO9001:2015 registration from Perry Johnson Registrars. Contact Us for all your Tube Bending and Sheet Metal needs. 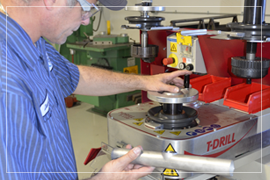 Aero Bending Company Service is a rare blend of high technology and personal service. 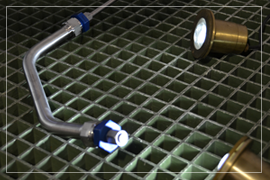 Aero Bending Company is a California based tube bending & sheet metal fabrication specialist. We also offer hands-on customer service that enables our clients to be an integral part of our process. © Copyright Aero Bending Company. Tube Bending and Sheet Metal Specialists.